In a statement released on Monday (April 8), just three days before voting for the 2019 elections begins, more than 100 visual artists have urged voters not the re-elect the Bharatiya Janata Party. The Modi government’s rule, they say, “has created a pervasive atmosphere of fear and all-consuming hatred, which has infiltrated our homes”. Similar statements have also been issued by theatre persons, scientists, and, writers. 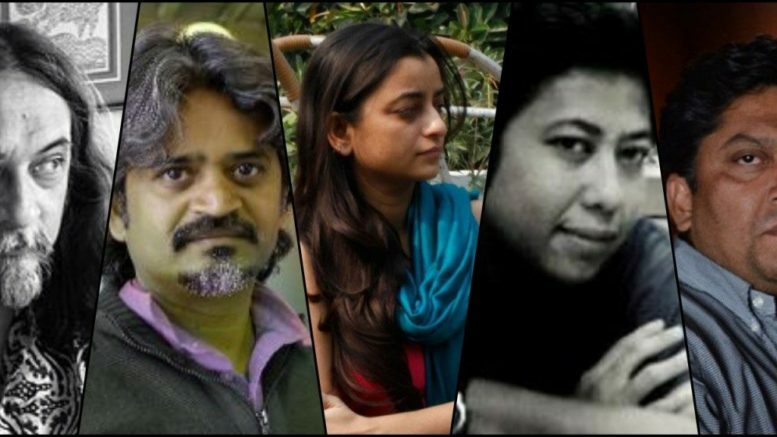 Signatories of the statement include Orijit Sen, Babu Eshwar Prasad, Sukanya Ghosh, Georgina Maddox and Dakxin Chhara. The full text of the statement is below. “We stand at a critical juncture in our national history on the eve of a make or break election. The results will either take it forward towards our constitutional ideals or back to a brute majoritarian ideal of a so-called “nationalism”. We therefore make this impassioned appeal to our fellow citizens to save the soul of our nation from being permanently scarred by attempts to undermine our Constitution and assaults on what we hold most dear. In the last few years we have seen concerted attacks on freedom of expression, imposition of a theocratic state, unchecked mob-lynchings, state-sanctioned terror against the most vulnerable sections of society, and corporatisation of India’s national assets. The BJP-led government has created a pervasive atmosphere of fear and all-consuming hatred, which has infiltrated our homes. We believe that this sustained regressive agenda is to impose an intolerant, mono-culture and destroy our rich and diversified social fabric. We do not wish to see it a day more in office. This is thus an appeal to all thinking citizens to see through their subterfuge and vote for change. Be the first to comment on "More than 100 artists urge Indians not to vote for BJP’s ‘all-consuming hatred’"